If a dog bites a child, the situation can be very serious. The physical scars and emotional scars can last a lifetime. Dogs can overpower a small child which can result in serious injuries, scaring, and emotional distress. A dog attack can make a child terrified of animals the rest of their life. 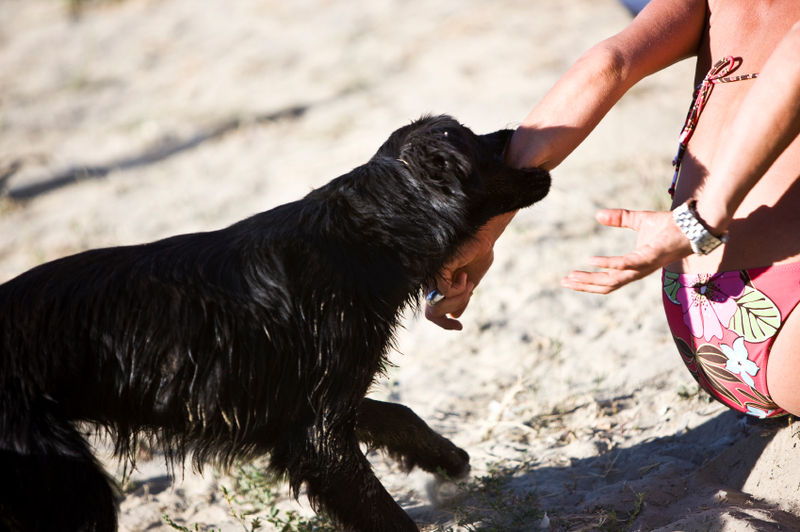 If your child or a loved one is attacked or bitten by a dog, the dog bite lawyers at Krupp Law Offices can answer your dog bite questions. We have over 85 years of legal experience. If your child or a love one has been attacked by an animal it is important to contact the dog bite lawyers at Krupp Law Offices as soon as possible. WHAT SHOULD I DO IF MY CHILD IS ATTACKED BY A DOG? If your child is attacked by a dog, you should immediately contact the police to document the attack and obtain the name and contact information of the owner of the dog. You should also contact animal control in the county you were attacked. They will get all the information about the dog and will determine if the animal is current on rabies shots. After reporting the dog attack, you should seek medical treatment for your child at an urgent care facility. Make sure to tell them what happened to your child. This is needed for appropriate care. Make sure to document your child’s attack. Take pictures of your child’s injuries as soon as possible. Continue to takes pictures of their injuries as they heal. Keep all of your child’s medical records and bills. If necessary get a referral to a plastic surgeon. The sooner a plastic surgeon can assess your child’s injuries, the better. WHEN SHOULD I CONTACT A DOG BITE LAWYER IF MY CHILD IS ATTACKED? As soon as you are able to contact the dog bite lawyers at Krupp law Offices, the better. We will be able to immediately preserve evidence and review your case. We can also help you in documenting your injuries and finding witnesses. Contact us immediately. Michigan has strict liability for animal attacks. The only defense is provocation of the animal. Typically, homeowner’s insurance pays dog bite claims for the owners of the dog. The owner’s liability typically does not go beyond the insurance limits. If the owner of the animal is a relative or a friend, you can limit the claim to the insurance policy only so that they will have no out of pocket expenses. Dog bite injuries for a child can be extensive. Often times there are bites to the face that will eave permanent scaring and other serious injuries. With a child there can been emotional injuries. Children suffer post traumatic stress disorder and nightmares. Dog bite claims will cover medical bills, counseling for your child, pain and suffering, reconstructive surgery, and other damages your child may have suffered. HOW DO I GET STATRTED WITH MY CHILD’S DOG BITE CASE? Call us immediately for a FREE no obligation dog bite consultation with one of our lawyers. We can answer your animal attack questions. We have the information that you need if your child or a loved one is faced with a serious dog bite injury.